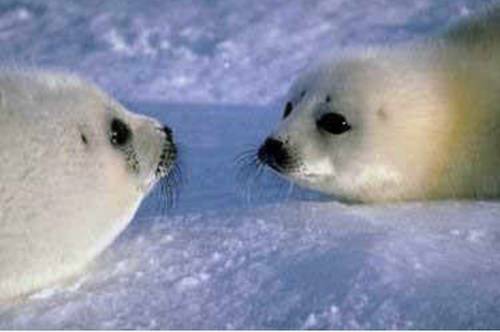 On October 2, a company that sells nutritional supplements, Nu-Health Products, and the husband and wife owners, Lin Liang and Denian Fu, were indicted for smuggling harp seal oil capsules into the U.S. This smuggling operation occurred for at least three years, from 2007 to 2010, before authorities discovered it and seized the contraband. Nu-Health Products is alleged to have sold approximately 3,734,800 capsules of the seal oil, imported on October 9, 2008, and falsely described as ‘fish oil soft capsules’. Seal oil is a secondary product of the seal slaughter but illegal and legal sales of this product around the world still help to perpetuate the brutal slaughter of seals in Canada. We commend NOAA's Office of Law Enforcement and the U.S. Attorney's Office, Environmental Crimes Section, for vigorously pursuing this case. We urge all seal activists to keep an eye out for seal oil capsules in health food stores and Asian groceries and on the internet. The capsules may say 'seal oil' or 'marine oil' on the labels (or may be falsely labeled 'fish oil'). If you spot something suspicious, please contact Harpseals.org ([email protected], 1-866-4-HARPSEALS) or the NOAA Office of Law Enforcement (1-800-853-1964).